This time we meet Susana. She was born in Havana, Cuba and she leads a language school. She lives in Stuttgart, Germany for 25 years and currently, her first novel is in edition in Cuba. Her hobbies are smoking cigars, travelling, enjoying of good wine and Andalusian music. I startet at the age of twenty. In my family cigars are always present, so my brothers also smoke cigars. I am from Havana, but we were doing our summer holidays in Pinar del Río, in Hoyos de Monterrey. Because of the nostalgia. I was lacking my country very much. Through smoking cigars I could easier accept staying in Europe. 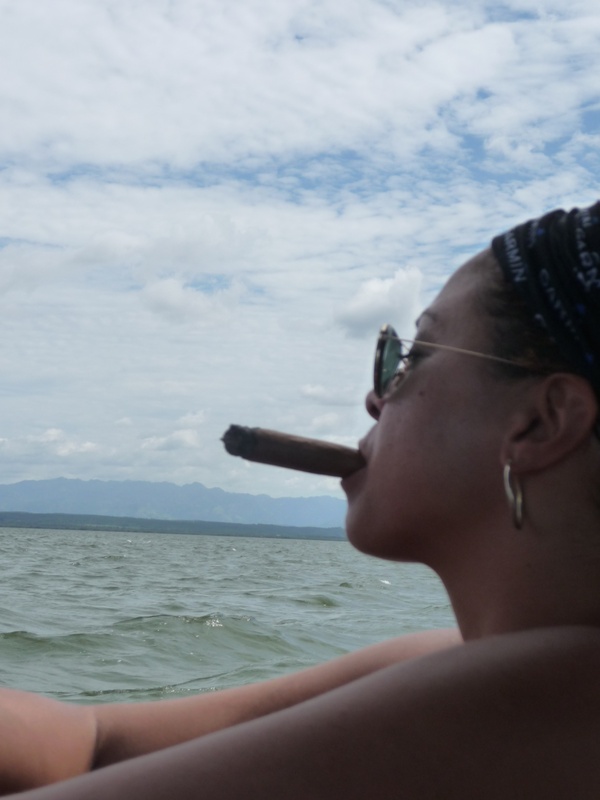 I feel myself closer to Cuba when I smoke a cigar and I remember my beautiful infancy with the green nature there. I smoke one a day after the work. The weekends I smoke two cigars. In Cuba I smoke during the day up to four cigars. Which is the best place you have smocked a cigar? I had and I still have several places. For example in Germany I smoke in my garden. 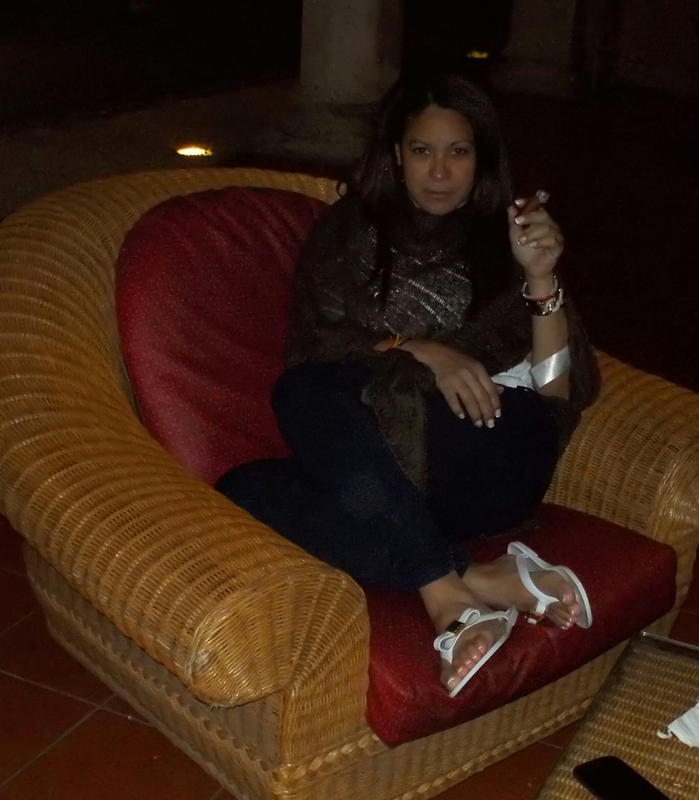 In Cuba I smoke in the patio of my apartment and especially in the terrace of the Nacional Hotel and The House of Havana Cigar- La Casa del Habano in Miramar with my big friend Carlos Robaina. At present shortly my cigars with a guillotine, although earlier in Cuba it was cutting it with the teeth, but we live in modern times. When I smoke I feel freedom, I am in a good mood. I am a teacher and writer and I notice that the ideas come much better when I prepare my projects. I work with more desire and with more motivation. In the evening when I finish my obligations and want to relax. It is the beginning of a good night. The cigar is something that our mother nature gave us to be happy. It is happiness for the body and for the soul. It is elegance, class and personality. Everyone that knows about cigars knows what I mean and it will agree with me. I like to interview Cubans people cause they explain the soul of the tobaco, their soul. Thank you very much Susana for your words. Good ashes. 10 Responses to "“Susana Gonzalez Camino„"
“Happiness for the body and soul.” That is the spirit I reach for in my writing. Thanks. ¿Qué quiere Susana decirnos con su entrevista ? ” Soy una alemana y hablo aleman perfectamente, pero mi alma y mi corazon es de cuba,!” ¡siempre!